How has my idea of empathy changed after the service? I feel that after doing this service, my idea of empathy has changed in the way that it has changed the kind of people I feel empathy for. I realised that, after working with people of cerebral palsy, is that the best way to show empathy for them is to realise that they are equal to us and to treat them as though they are the same, that their disorders are not something that holds them back and demands pity for them. I was able to see how the best way to show empathy to these people was to not be sympathetic at all because of their disorder; to be treated the same as I treat someone in my school would be showing them empathy. Do We Worry Too Much About The Effect Technology Has On Our Lives? I think that we do sometimes worry too much about the effect technology has on our lives; I think it is easy for us to use technology as an excuse for a lot of the bad, but also while recognising that it has a lot of benefits to us we seem to focus a lot more on what the bad aspects of it are nowadays looking at the easy access we have to it. I think that the human race has enough of a sense of the power of technology, and we do worry too much about what the effects are when we could be out finding better ways to combat any negative outcomes of technology. We need to appreciate technology for what it is, and instead of finding ways in which it affects our lives negatively, we should look at how to use that to improve our lives significantly. This quote relates to this project for me, the most out of all the other quotes. I think that the direct concept of being mentally tough in the form of responsibility and consistency relates more to this project than anything else, and being able to remember and remind one another in our group was crucial in the outcome we had. We did not shake off responsibilities that we knew we had, and we also made sure to let one another know of responsibilities that the other may have. The way that this quote most relates to our project is in the idea of pushing ourselves; we needed to constantly be able to motivate one another and be behind one another to contribute equally to the final product; we were able to push ourselves in numerous ways, be it through reminding ourselves of what the consequences would be and how much work we would have to catch up with if we did not do what we needed to, or if it was about reminding ourselves through other little things such as alerts and calendar reminders that gave us that little extra push into the sort of motivation mindset we needed. This would be the final quote that I would choose, that relates to our project. I say so because distractions and overcoming them were a big part of this project. Since we were on YouTube for our challenge, the number of distractions poising themselves towards us were numerous. Over time, by building the habits that we did to constantly remind ourselves that we needed to stick to our tasks, we were able to overcome the difficulty of succumbing to distractions. I think that in terms of collaboration, we could have thought more about the collaborating process for the final podcast and the collection of the different audio tapes. 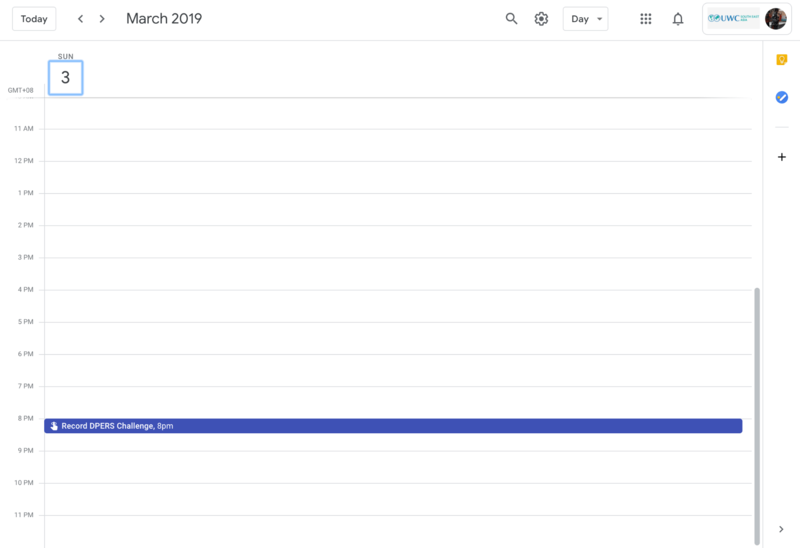 I think it got a bit confusing towards the end as we did not have that efficient of a system to organise all our files, but I think that it is a good lesson to take away for the next project, in terms of organization. I think the advice that we could have looked at more scrutinisingly would have been day to day reminding of when to do the challenges; we were able to remind one another of when to do what, but I think that it could have been much better organised. For example, we could have chosen a specific time at which we could both have messaged one another to make sure that we did what was required at a time most suitable for both of us. One mistake was messaging each other either much too early or too late, and ending up forgetting again. Now that I’ve worked with different partners, the thing that I most need from a partner is the ability to be open minded, yet teh confidence to criticise at the same time. If there is something about my idea that my partner does not like, I want them to feel comfortable in bringing it up and us working out a solution more suited to both of our thinking styles. At the same time, I want a partner who is open to hearing my ideas and providing their own ideas, so I do not feel one sided. I think the part of the tool that was the sharpest for me in this project was the tool that was for cutting out distractions; using a medium like YouTube leaves me vulnerable to many forms of distractions online, and I think that finding methods to combat this distraction were very important in this project. I was able to devise ways to ensure that I did not fall prey to the distractions I saw online and stuck to my task, reminding myself of what needed to be done constantly with support from my partner as well. We ensured that we would both stay focused and cut out all distractions, constantly reminding one another of this fact as well. This is our final podcast and our show notes. Our challenge was to create a podcast based on recordings we made for a 5 day challenge, which was to watch debates from a YouTube channel called Middle Ground. Here is the link to the intro and outro post that I compiled after creating my samples for the intro and outro music for the podcast. We ended up using my outro music for the final podcast. Here is the audio partner agreement that my partner and I recorded before starting the process of creating the recordings for the final podcast and before choosing what challenge we were going to use. This was a really helpful tool as it helped us identify certain conflicts we may come across through the progression of this project. Here is the link to the very first podcast review post I did before we started this project. My podcast was called “Kids These Days”, by the channel IRL. Here is the link to the recording planner me and my group partner, Tanuj, are using. 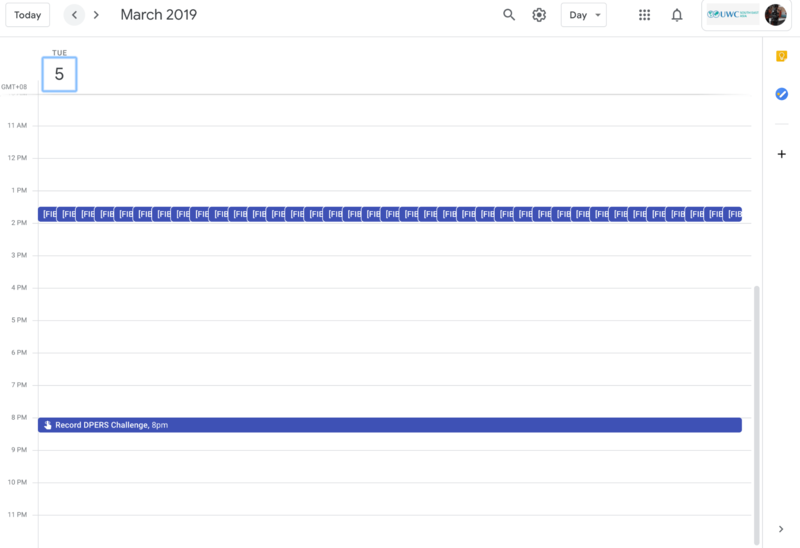 Below are some screenshots of the calendar reminders we set on Google Calendars, to remind ourselves when to record content for the final podcast. Ivy League schools attract fierce competitiveness from students all over the world, bagging consistent top spots in worldwide university rankings and results: but is being accepted into these schools all we make it out to be? When Angela Noronha went back home to Manila in the summer of 2009 from the University of Pennsylvania, she witnessed the massive rescue efforts of the people and the government to repair the damage done by the dreaded Typhoon Ketsana. Being someone super fixated on the Ivy League, she saw this community and how people with no fancy background whatsoever come together and address this issue. This helped spark a revelation in her. 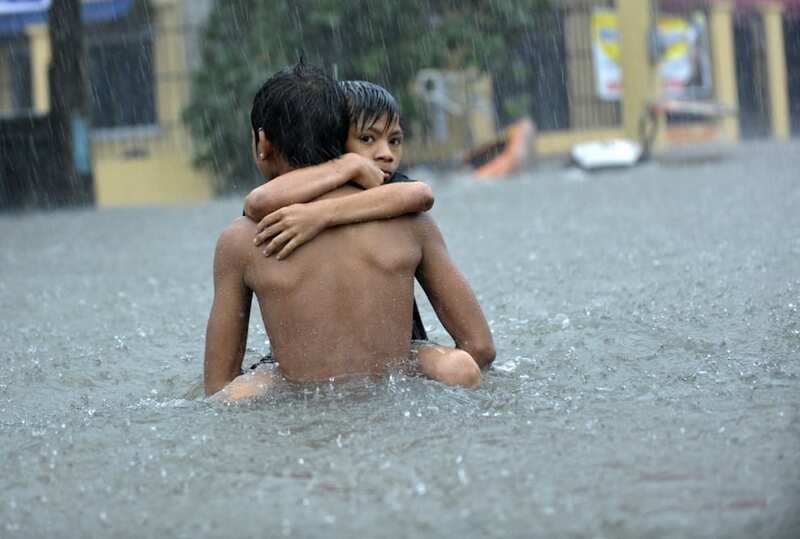 A young boy is carried to safety through floodwaters caused by Typhoon Ketsana in the Quezon city suburban of Manila on September 26, 2009. A former University of Pennsylvania student, she talks about how prestige was so important to her that it resulted in anxiety and some decisions she would now heavily disagree with; things like refusing scholarships to some really good schools and deciding to go to the University of Pennsylvania even when she knew that it would be financially unsustainable. Realizing that prestige and esteemed universities wasn’t what was needed to solve problems and change the world like she wanted to has changed her outlook on life. “Whatever choices I’ve made that have lead to the reality I have now, I wouldn’t trade for anything. But if I were to go back in time and maybe redo it or advise kids about what to do today, I definitely wouldn’t have them turn down scholarships to really great schools to go to the one school that has a higher ranking,” she said as she recollected her refusal to take a full scholarship to Wesleyan University, a liberal arts college in Connecticut. 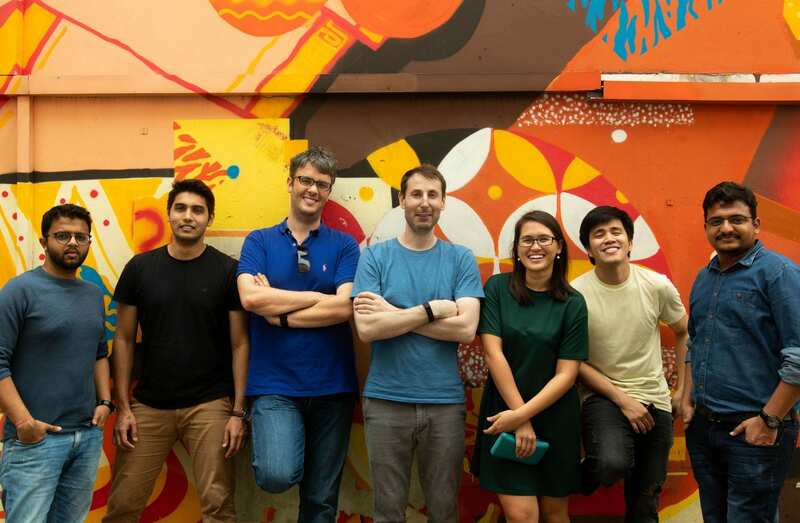 Angela, now living in Singapore and raising two young boys, is a senior manager at an education startup business called Cialfo for college applicants. She credits her rather worrying experiences of the university application process as the motivation behind this line of work. Angela visited school as a part of Writer’s Fortnight. She is one of the many prospective human interest stories that the Grade 10 FIBs and Grade 9s have to choose from to write their very own feature or op-ed articles. Who doesn’t want success and recognition? Before I heard Angela’s story, I recognized myself as “infected”, if you will, of the Ivy League fever common among my peers and classmates. Always looking to aim for the big leagues and not take anything lower, I found myself fiercely motivated in my academics by this. The mere idea of one day coming home to a Harvard or Yale acceptance letter in the mailbox appealed to me extremely. Little did I realize the plethora of options available to me, and what my idea of a “good school” was really wasn’t the only path to a successful life, as Angela so regretfully recollected before. I was lucky enough to have a conversation with Ms. Joan Liu, a university advisor here at UWCSEA East. Based on her experience as a university advisor, she explains how students come in to her office wanting to go to a “good school” in the USA. Usually, this “good school” is one of the eight Ivy League universities. “It’s kind of like being an athlete,” says Ms. Liu, “and saying, ‘I’m only going to settle for the Olympics. Otherwise I’m not going to be an athlete at all.’” She herself can relate to the process these students are going through, as was the daughter of immigrants who came to the US in part because of its educational opportunities. The standards and pressure brought upon us as students when applying to university is determined by the extremely high boundaries set by our school culture, which we feel we have to cross to deem ourselves successful. “People feel the pressure to get to an Ivy League School. It’s unrealistic to insist on this standard. Quite frankly, only a very small minority of people will be able to get to a high selective school,” explains Joan. 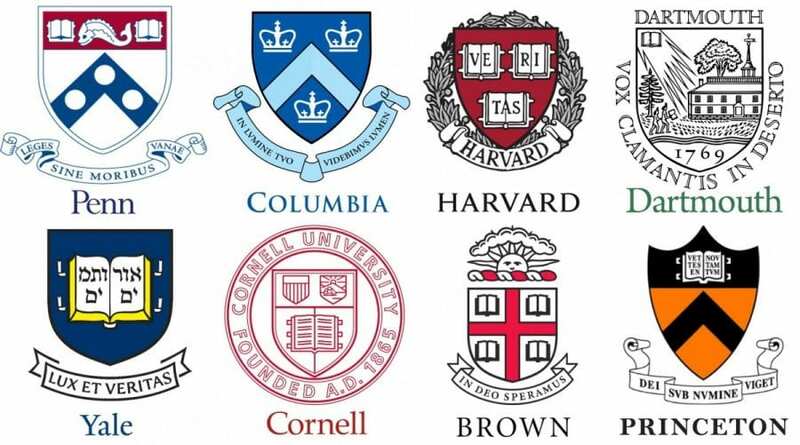 The eight Ivy League schools in the USA. Another potential trigger for the stress we feel in the time of university applications is our cultural background and our families. Do we feel we have a certain standard or reputation to live up to, when it comes to our tertiary education? Coming from a Taiwanese family that immigrated to the US, Joan herself recollects how she had a lot of pressure put on her when applying to college. She believes her university experience was not a good one because of the standards and pressure she felt she constantly had to work to live up to. International students at an Ivy League undergraduate programme comprise no more than 10% of the entire student population on a campus. 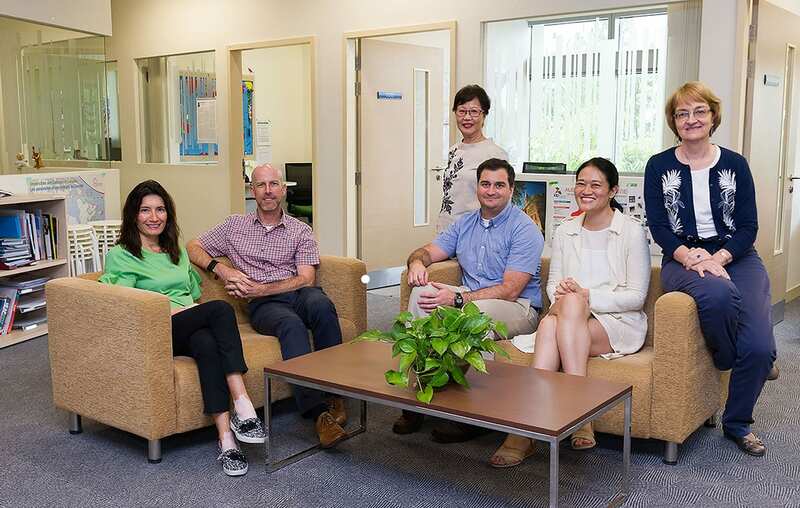 UWCSEA East saw 1 out of every 4 students of the graduating class of 2018 enrolling to the USA for tertiary education. Usually, the percentage of those applying to the USA is at 60% but 25% choose to go in the end. These statistics consolidate Joan’s idea of our categorization of being a top 1% here at UWCSEA; we have so much pressure put on us as students here because of the consistent offers from some of the most reputable colleges in the world. We feel we are expected to live up to this reputation, this unspoken duty we have as being a student at UWCSEA. After hearing Angela’s story, It would seem that Ivy League syndrome is, in fact, curable. “You might be a big fish in a little pond, but what is that in the ocean? I was putting so much pressure on myself to be this person other people look up to, definitely out of pride. At the end of the day, no one is better or worse than another. It helped to see how humble other people are even though they have achieved incredible things,” says Angela, as an answer to when she was questioned about the impact of her dependence on prestige. I questioned my mindset regarding these elite schools, and if they really were all they were made out to be after hearing Angela speak. Making choices for the right reasons is what is really important. Of course, the people that Angela met at university inspired her everyday and she continues to be inspired by the brilliant minds that she encountered during her stay at the University of Pennsylvania, which she really loved being a student of. Seeing how her path has lead her to where she is now, I think had she stayed at the University of Pennsylvania for what she claims were the “wrong reasons” she wouldn’t have been able to share such an amazing story with our community. Even if it is something that your family or your culture says doesn’t make sense, if it’s something that gets you heavy criticism from all sorts of people, but it’s something that you know and believe in, do it. Do it, or you will regret it. Angela stayed back in the Philippines rather than graduate from an Ivy League college to spare her family the financial burden – and be closer to the people she said she wanted to help; I can think of a lot of people who would question that action. But, in the end, she believed in this and felt it was the right thing for her to do, and from what I’ve seen, she’s extremely happy the way it’s turned out. If you believe in something, then you owe it to yourself to do it. Whatever it may be, making choices for what we believe are the right reasons is the most important. Do it before you regret it. Life offers us many paths, and every choice opens new doors for us. Be it a student at Harvard, or a Red Cross worker in war torn Syria, all of us have our own definitions of what holds value and makes us feel accomplished. Work towards your own definition of success. The podcast that I reviewed was called “Kids These Days” by IRL. It fit the conventions of a standard podcast pretty well. There was a pre intro music that plays for a while as there are quotes from different subjects of the intended target audience, and the music continues until the intro where the host comes in. There was a standard introduction by the host, as to who they are and what they do but that came only after the content of the podcast was described. There was a quote from a reputable news source in the form of journalist Manoush Zomorodi, who was a guest on the podcast, and there were also recordings from the field with quotes and anecdotes from subjects of the story; for example, Cameron Kasky, Parkland High student. I think that the host was effectively able to provide context and talk through the podcast to make sure the issue stayed relevant, while at the same time introducing new content and people. After hearing this podcast, it has made me think about this a lot more as I feel that I am a part of the social group that is being talked about in this podcast; being a teen who always has their phone at hand. After this episode, I think that I know have a lot more insight as to which challenge would be the most suitable for me; I could relate to being a teenager who is on their phone a lot, so to challenge myself I think that it would be fun to try the challenge where me and my partner see which one of us can use our phones the least. Checking my phone has become so common that it has become a part of my daily routine, and I think that it would be a good challenge and a good temporary change to see how not having my phone always at hand or checking it much less will have an impact on me. – Is the previous generation as entranced by the current one with the latest technology and applications of today? Does it have a similar effect on them? – If social media and the Internet is a big factor in destroying parent-child relationships, could there also be ways in which it is used to improve relationships between parents and their children? Here is a link to the TIF website to read more about them. Here is a link to our resource folder, and contains what we used/created for this project. Here is a link to read more posts regarding our critical challenge. 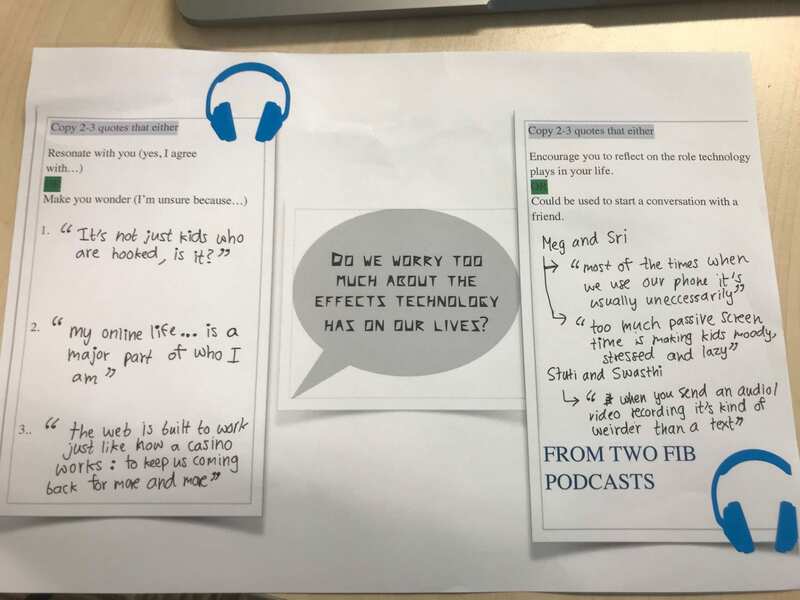 Here is a link to Group 1’s podcast, the group that we worked alongside for the entirety of the critical challenge.